(AP) NEW YORK - Philadelphia Eagles quarterback Michael Vick is launching a sports clothing line called V7 that will be sold exclusively at East Coast sporting goods chain Modell's. The line is the latest image-restoration move for Vick, who spent 18 months in federal prison after being convicted of bankrolling a dogfighting ring and was released in 2009. He is now among the highest-paid players in the NFL, and recently married longtime fiancee Kijafa Frink. 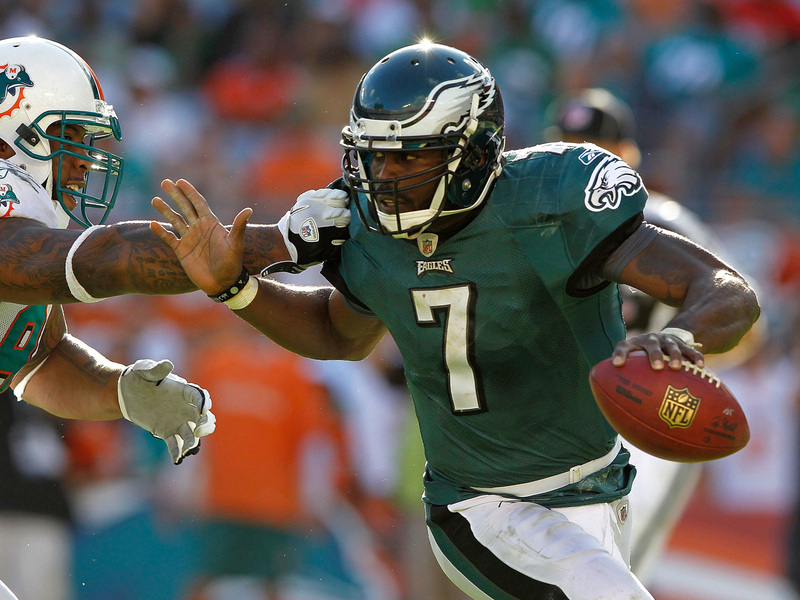 Vick has re-signed with Nike and added other endorsements for companies such as MusclePharm Corp. He has also since spoken out about animal cruelty. The line includes technical athletic clothing such as T-shirts, shorts and tank tops. Prices are $12.99 for children's clothes and $19.99 for adult clothes. Part of the proceeds will go to the Boys and Girls Club of Philadelphia. It was developed in a licensing partnership with celebrity clothing-line mogul Ruby Azrak and former ICM talent agent Brian Sher, Modell's confirmed. Vick led the Philadelphia Eagles to a 10-6 record and an NFC East title in 2010, and was named NFL Comeback Player of the Year. He faced injuries and inconsistent performance in the 2011 season. The 2012 NFL season begins Sept. 5.